Hello Refashion Co-op! It is Chickie with a new project I really had fun with. It started as a two piece outfit. 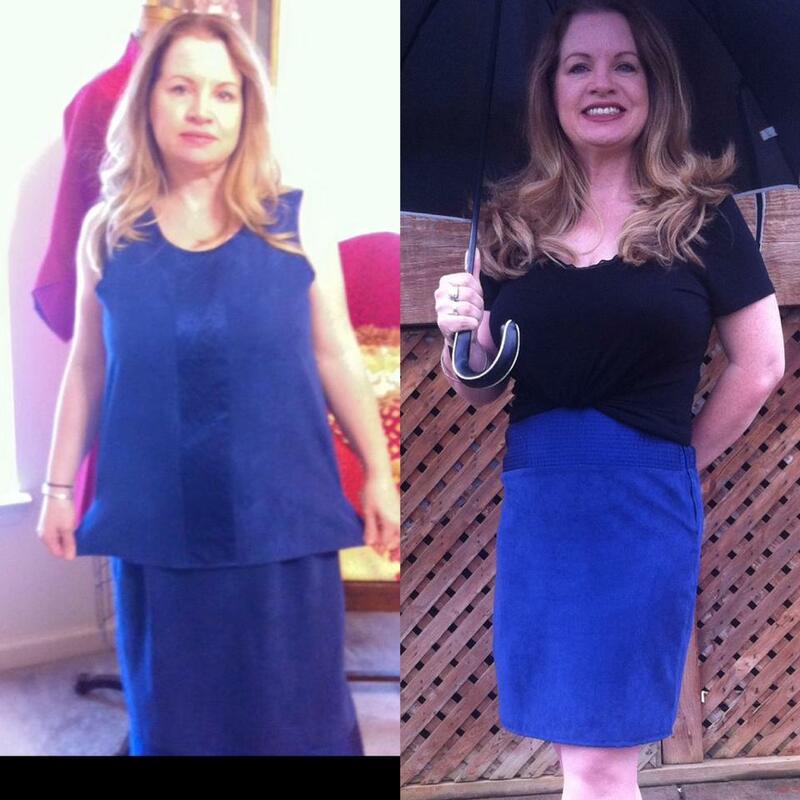 It is a faux suede in a beautiful blue. There is just so much of it. I have never seen so much blue suede in my life. 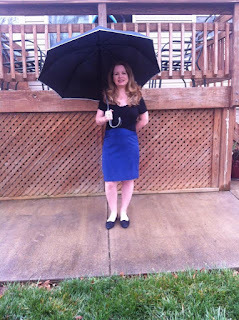 Today I will show you the skirt. 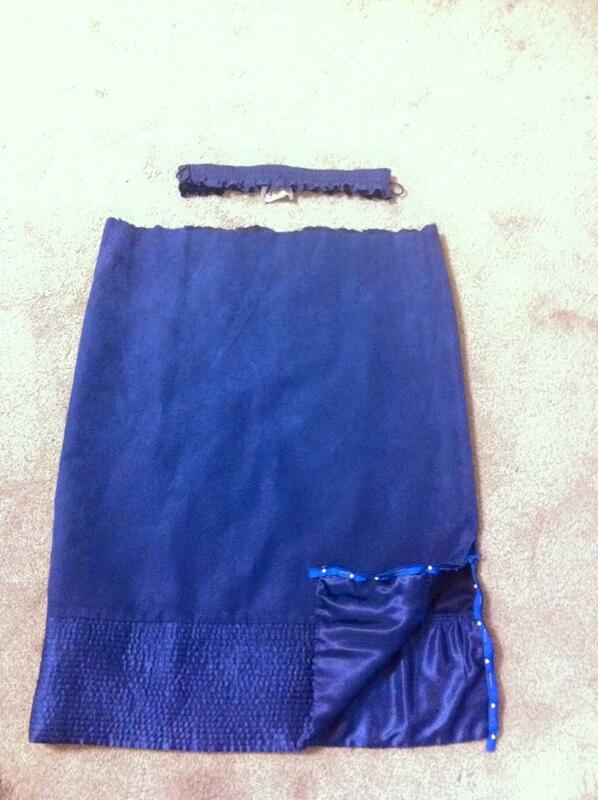 Here is the skirt by itself. In addition to the blue suede, there is a satin band around the bottom. Suede and satin? There is so much happening here. First, I cut off the elastic waistband. Then, I pinned a zipper in the side slit. Then I did a big flip. The bottom is the top now. 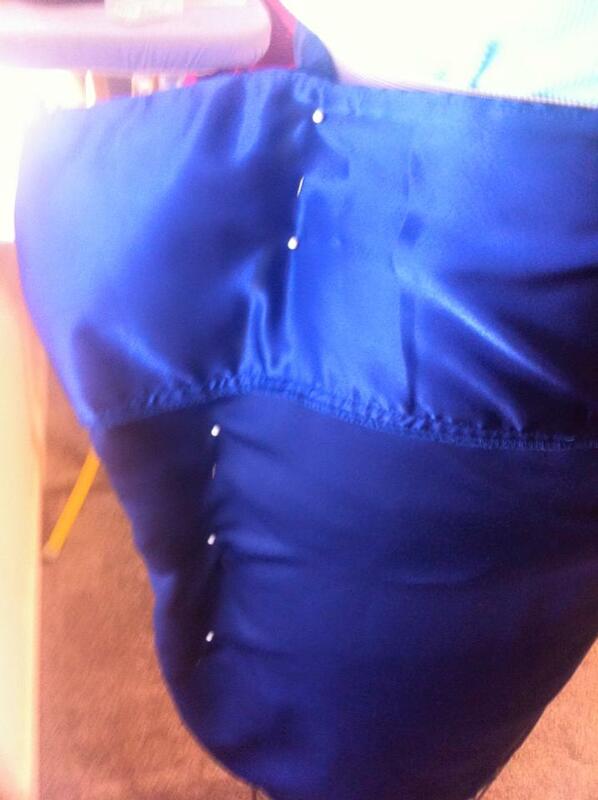 I did some measuring and pinning to get the satin band to fit at the waist and hips. It was a bit too big so I had some room to play with it. That's a useful transformation. I love the blue colour and turning the skirt upside down was inspired. Look forward to next post. Thanks so much. It will get more wear now that's for sure. Upside down is sometimes a very gooood way to blow a more interesting life into garments; well done in your case as well. I'm currently patiently waiting for the first loads of 'abandoned circle skirts': soooo much nice material to play with ;-) ! Btw. : wouldn't even mind the 'sea of blue' (= top as well and together) with a 'sprinkle' of a different colour; yet the satin-band would have been a 'get rid of it' for me as well :-o ! Thanks! I loved the blue I just felt over whelmed by SOMUCH of it.